Most of us have slipped. We’re running out of the drug store, picking up groceries, or ordering take out – and then we’re faced with it. We realize our trusty reusable bags are at home and we’re left with the plastic bag. The plastic bag may look benign. It goes as far as camouflaging its true nature by being covered with smiley faces or friendly greetings. Despite this façade, it’s time that we start to view the plastic bag for what it really is – an insidious, life threatening weapon. As more disposable plastic items appear on the consumer market, the threat to our ecosystem and its habitats also increases. Several years ago, India faced a spate of cow deaths. These revered animals roam throughout the cities and are treated as deities. Necropsies later revealed that the cows had ingested large quantities of plastic bags which had blocked (or impacted) their digestive tracts. Plastic impaction is not isolated to terrestrial animals, as the volunteers at the Karen Beasley Sea Turtle Hospital well know. Little bits of plastic have found their way into the sea turtle diet, providing no nutritional value and posing devastating consequences. A recent study published in Marine Biology looked at the digestive contents of loggerhead sea turtles in the Gulf of Mexico and found that “anthropogenic debris was present in the digestive tract contents of 51.2% of the loggerheads”. 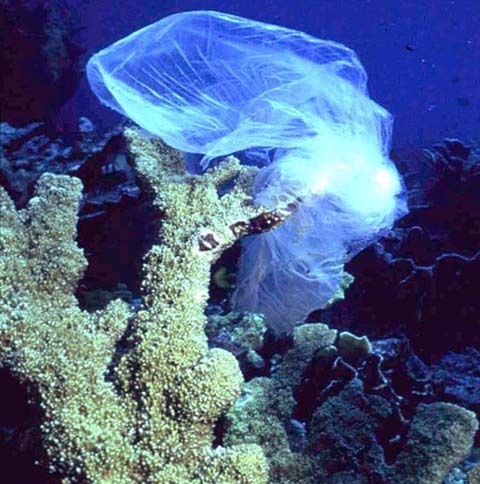 Pieces of disposable plastic bags made up the primary component. Plastics are pervasive because they are cheap and easy. 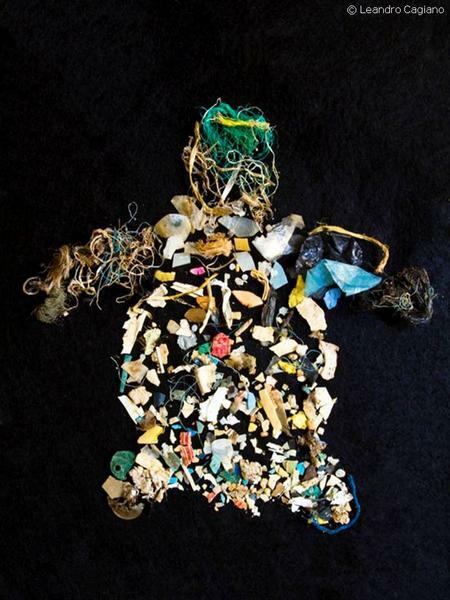 Recent cleanups of a half mile stretch of beach in Logartillo, Costa Rica yielded 14,000 plastic marine debris items, which included lots of monofilament fishing line. Their inability to decompose like other products (plastics photodegrade, instead of biodegrade), makes it a problem that will be around for generations to come. Their cheapness doesn’t factor in the environmental costs of a dead sea turtle impacted with nurdles or entangled in abandoned monofilament nets. Next time your grocer starts putting your items in a plastic bag, please consider all the additional costs.